While DragonFly versions 1.0 and 1.2 achieved new standards of performance and portability in the high-fidelity audio world, many customers have longed for a similar product that could be reliably used with their handheld mobile devices. 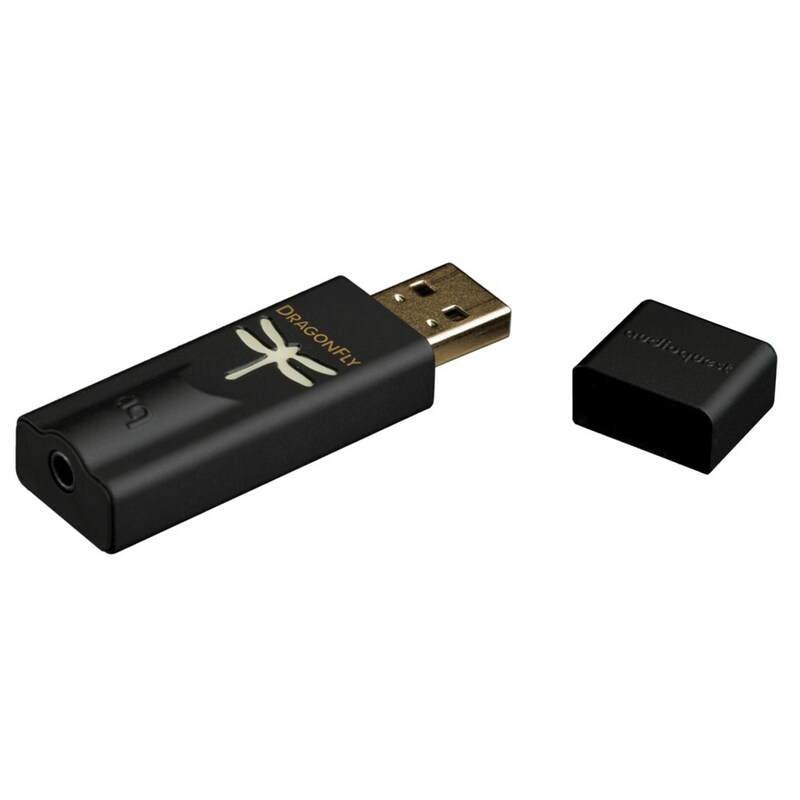 Previously, DragonFly’s power consumption limited its compatibility to Mac and Windows laptops and PCs. Now, with AQ’s developments in the field of microcontrollers, they were able to improve DragonFly’s performance while also offering compatibility with handheld Apple Mobile and Android devices. Improved performance and greater versatility! Direct-Coupled, Medium output — More than enough power to successfully and gracefully drive a wide range of today's efficient headphones. 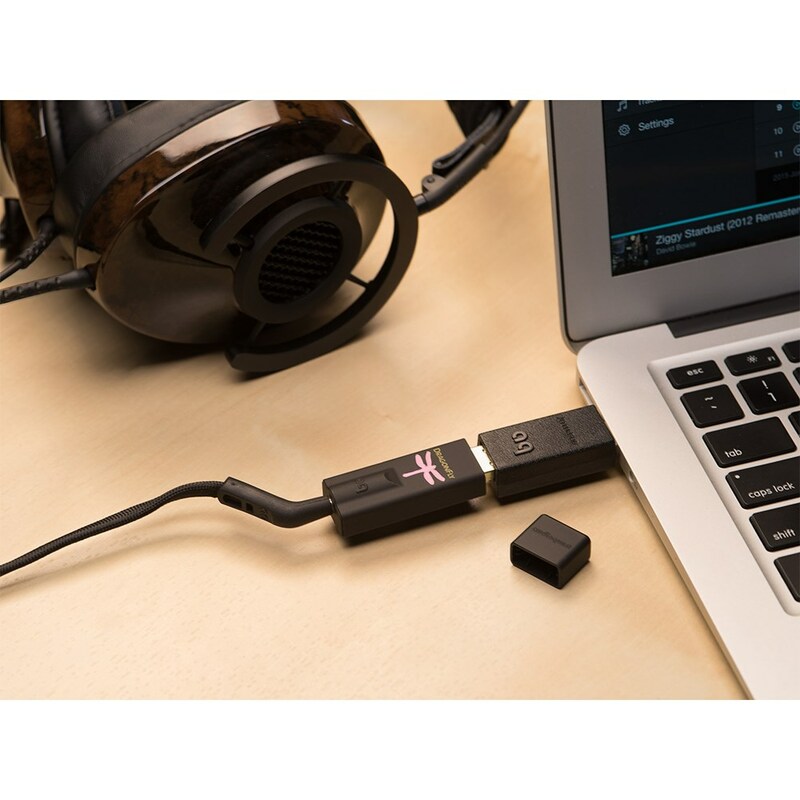 Although DF Black has a lower output voltage than DF 1.2, its more advanced microcontroller and updated DAC chip mean that it can deliver more musical texture and detail — even when used with moderate-efficiency (~95-100dB/mW) headphones. When used as a line-level device (volume set to 100%), DF Black's 1.2 volts provide enough power to drive all preamplifier, integrated amplifier, or receiver inputs. The Microchip PIC32MX (USB 2.0 compliant) is a full-speed isochronous USB audio solution. Compared to other controllers, the Microchip microcontroller offers extremely low power consumption (77% lower than the TAS1020b and 95% lower than the most efficient XMOS solution), 32-bit architecture, and the option for software upgradibility (via a desktop application provided by AudioQuest). In addition, the Microchip's ultra-low-noise power supply minimizes the sound-degrading effect of high-frequency interference on the critical audio signal. Digitally controlled (from the host) analog volume control. With DF Black connected to a PC or mobile device, adjusting the host's volume control will, through proxy, control the DF Black's onboard volume, ensuring maximum resolution regardless of volume setting. 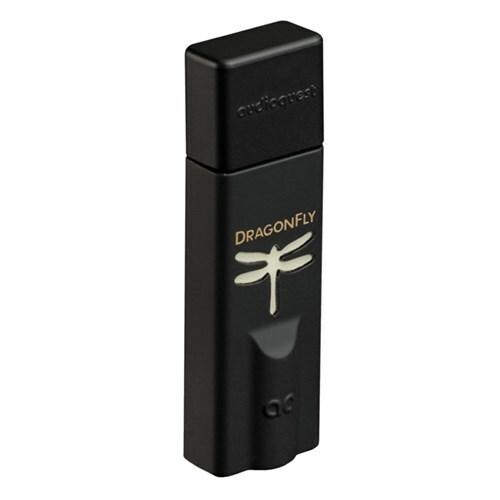 DragonFly Red employs a 64-bit, bit-perfect digital volume control that resides inside the DAC chip itself—an elegant and sophisticated implementation that ensures maximum fidelity, dynamic contrast, and signal-to-noise ratio. With DragonFly Red connected to a PC or mobile device, adjusting the host’s system volume control will, through proxy, control the DragonFly Red’s onboard volume. Yes: Apple iOS (5 and newer); Android 4.1 and newer* For Android devices, see owner's manual. Yes (from desktop application): Please download AudioQuest's Desktop Manager Application and register your product. 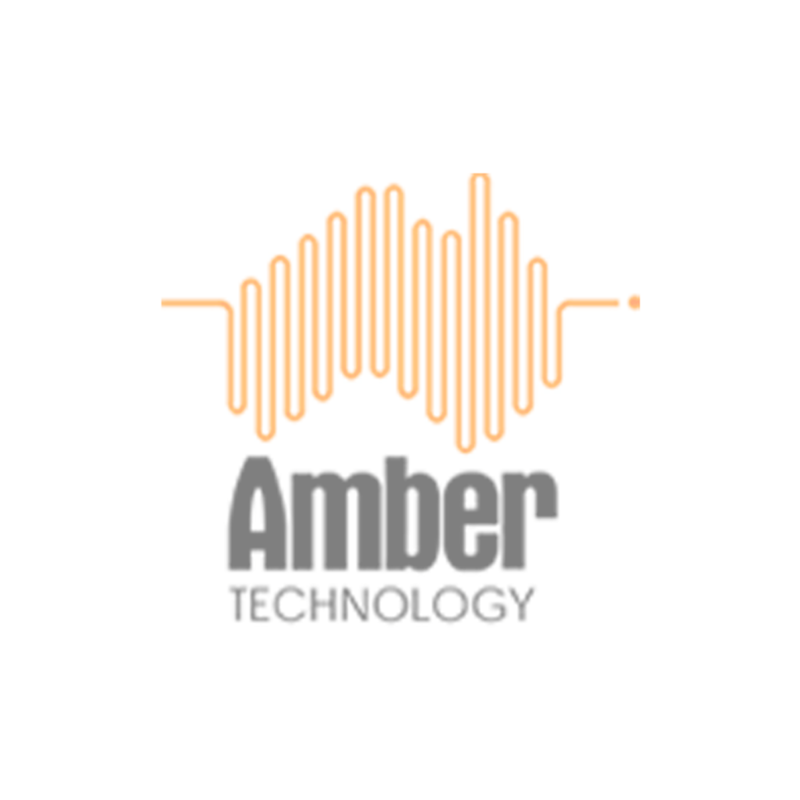 Streamlength™ asynchronous USB code ensures low jitter, low resource load, minimal packet errors, world-class audio playback, and reliable connectivity between our DAC and any computing device compliant with USB Host Mode (as set forth by the USB Organization). Streamlength requires no additional drivers, making DragonFly Red virtually plug-and-play for Apple, Windows, iOS, and Android users.